A couple of weeks ago I went down to the New Forest to run a workshop for the Lloyds Register Camera Club, their third workshop with me over the last few years. It was a great day, with beautiful sunshine for most of the day, but it did get a bit on the warm side. 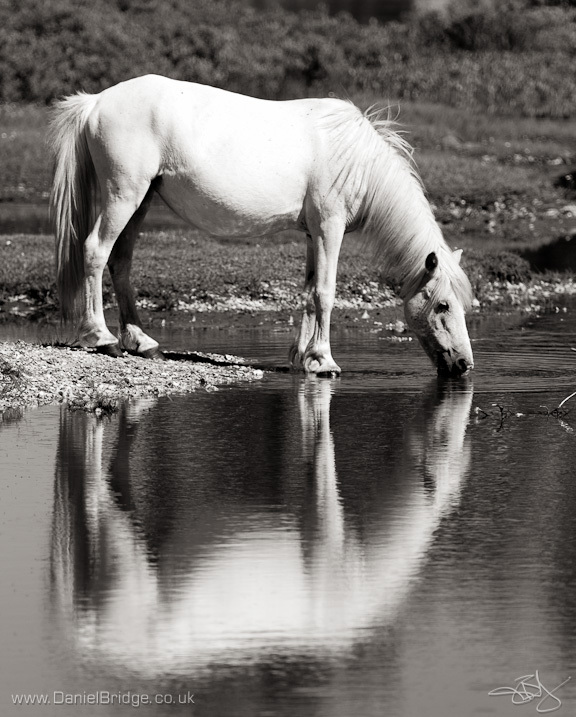 At Hatchet Pond in the afternoon, this pony decided it needed a drink, and I was lucky enough to be in just the right position to capture its reflection, using my 300mm lens. PENTAX K-5, smc PENTAX-DA* 300mm F4 ED [IF] SDM @ f/4, 1/2000, ISO 200, handheld. I hope to be going back in the Autumn for another workshop with them. If you'd like me to run a workhop for your camera club next year, just drop me a line!